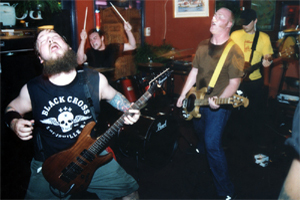 Sword was a sludge metal / doom metal band from Richmond in Virginia, formed in 2003. In 2006 Sword changed its name to Lord By Fire. No SWORD (VA) online videos available. Search and add one now. 0 results found for "SWORD (VA)"
No SWORD (VA) music reviews posted yet. No SWORD (VA) movie reviews posted yet.